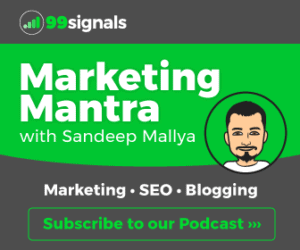 Is the threat of Negative SEO real? Do we have SEOs who break the rules to ruin a site’s reputation and decrease its rankings in search engine result pages (SERPs)? In this article, we’ll help you understand what negative SEO is, how it works, and how you can safeguard your site against potential negative SEO attacks. 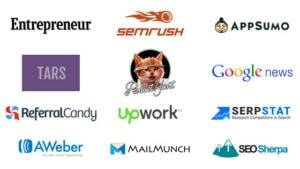 The entire SEO landscape has changed significantly in the last 5 years. Ranking in Google’s top 10 search results is not as easy as it once was. Black hat techniques don’t work anymore. In fact, these techniques can damage your site beyond repair. In these circumstances, a new type of SEO has emerged called ‘Negative SEO’. The most common type of negative SEO practice is link-based negative SEO, but there are several other techniques that black hat practitioners can use to reduce your search rankings. Some of these techniques are explained in detail in this article. The short answer is yes. If you can hurt your own rankings by using black hat SEO techniques, someone could implement these same techniques to cause damage to your site. 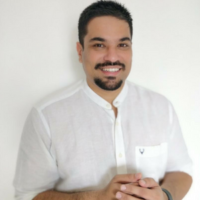 There are tons of Black Hat SEO forums which are flooded with stories of people who have succeeded with this technique. Google’s stance on negative SEO is that it is real, but very rare. This is was prior to 2003 when no amount of spammy links could hurt your rankings on Google. In fact, these were the dark ages of SEO when most of the SEOs practiced black hat techniques to manipulate search rankings. With Penguin algorithm update in 2012, Google started penalizing websites that followed manipulative link building techniques. This is also the time when Google introduced the disavow tool. This allowed site owners to disavow links which they considered were toxic for their site. Fast forward to today, it is quite possible for a competitor to employ shady SEO tactics to dethrone you from top rankings on Google. If you’re in a fiercely competitive niche, there are chances that you may fall a victim of negative SEO someday. But don’t worry! There are several methods you could use to safeguard your site against potential negative SEO attacks. Below are 6 techniques you can employ to prevent negative SEO. The most common negative SEO practice used by spammers is to build low quality links for your site. Performing regular backlink audits is a good way to thwart any potential SEO attacks. Monitoring your site’s backlink profile on a consistent basis is the best way to spot any suspicious new links. To perform backlink audits, use reliable tools such as Ahrefs or Serpstat or any of the link building tools featured in this article here. With Ahrefs, you can even set email alerts to get notified when your site gains or loses a backlink. To set up these alerts, login to your Ahrefs account and head over to the ‘Alerts’ tab. 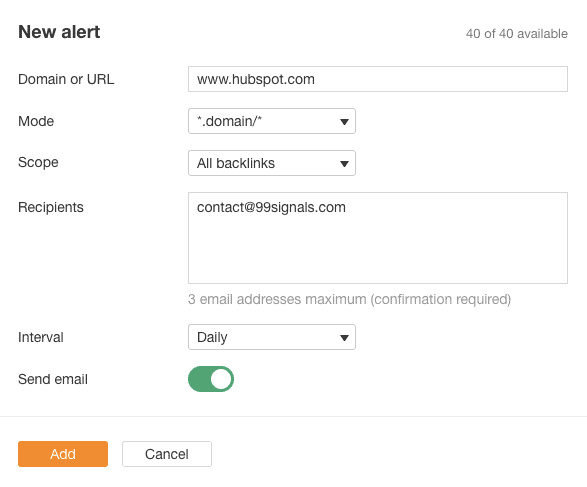 Click on ‘New Alert’ and enter your domain, email address, and choose the interval of these alerts. We recommend you use ‘Daily’. Once you’ve set these alerts, you’ll receive an email from Ahrefs on a daily basis whenever you gain or lose a new backlink. When you a find a link that is suspicious with very low domain rating, it’s time to disavow them so that they don’t hurt your rankings. 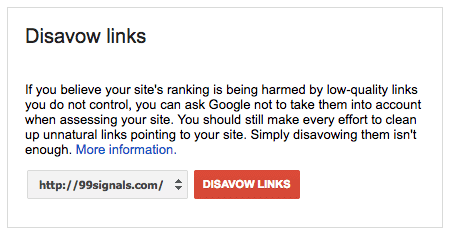 You can disavow these backlinks using the ‘Disavow links’ tool within Google Search Console. Select your site and click on ‘Disavow Links’ button. You’ll be prompted to upload a .txt file of the backlinks you’d like to disavow. Upload this file. It will take 2-4 weeks for Google to disavow these links. This is why you need to act fast as soon as you stumble upon a shady backlink for your site. Enable email notifications. That’s it. You’ll now receive email alerts from Google whenever it finds an issue with your website. Site speed is now a critical ranking factor. If you notice your site has a high loading time all of a sudden, make sure it’s not because someone is sending thousands of requests per second to your server. If you don’t act fast to stop this, spammers may put down your server. The services listed above will analyse your site, identify errors and then give you a list of recommendations to fix these errors. Check your site speed on a weekly basis to make sure your website’s performance is optimal. Bonus: Follow these 8 simple tactics to increase your site speed. 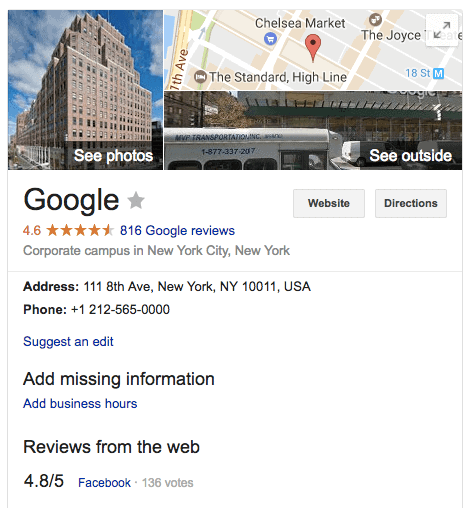 If you’ve registered your business with Google My Business, then you need to keep a close eye on the reviews you get online. Sometimes spammers will infiltrate your GMB with negative reviews. If you don’t act fast, these reviews can seriously damage your reputation. Follow the same procedure for Facebook reviews as well. These fake reviews can really ruin your brand’s reputation if you don’t act fast. Cyber attacks are on the rise. As such, it’s important that you take security of your website seriously and take all measures necessary to prevent spammers and hackers from infiltrating your website. Consider getting an SSL certificate for your website, especially if you’re in the e-commerce business or store other sensitive consumer data. You can check with your web hosting provider for an SSL certificate or get a free SSL certificate from Cloudflare. 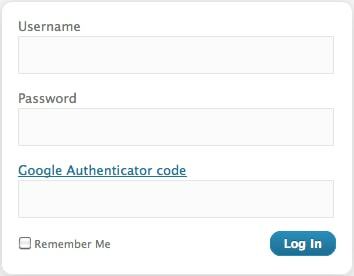 If you use WordPress, you can install the Google Authenticator Plugin and create a 2-step verification password. Each time you log in to your WordPress website, you will be required to add a code generated by Google Authenticator on your smartphone. One of the most common negative SEO methods employed by spammers is content duplication. You can check if your website has duplicate pages on the internet using Copyscape. Simply add your website or the body of the article you want to verify and it will show you if your content is being published elsewhere on the web, without your permission. Negative SEO is real, but there are preventive measures you can take to mitigate the loss. Hope this article helped you in understanding the implications of negative SEO and the steps you need to take in case your site is affected by it. Has your site ever been impacted by negative SEO? What preventive steps would you recommend? Let us know your thoughts in the comments section. I think that it’s possible that negative SEO does exist, but I don’t think it’s as easy as booting up xrumer and spamming a site with some forum profile links. If you really wanted to negative SEO somebody, it’s going to take some serious work and investment, and so for that reason I don’t think it “really” exists except for perhaps in rare cases where some webmaster had a serious grudge against another one and was out to get them, and so they were willing to spend money just to take them down. If it was possible to just spam some blog comments and forum profiles at a site and get it penalized, then the SERPs would be total mayhem.